We Are Chester writer Meg Chester was part of a team of young people – the WOWsers – who were involved with organising and running the first WOW Festival to take place in the North West. 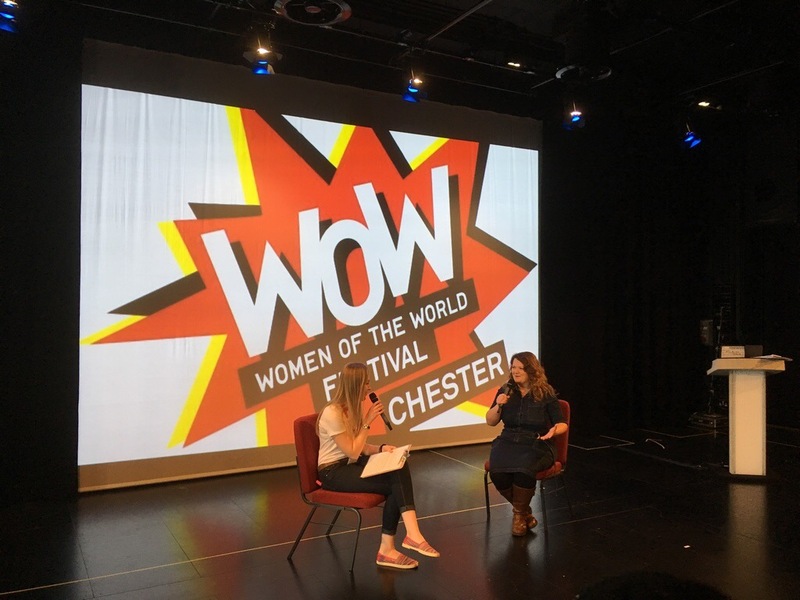 The Women of the World Festival happened at Chester’s brand new Storyhouse cultural centre. Its aim was to bring people together to celebrate women and girls and to spark discussion and debate on achieving equality for all. 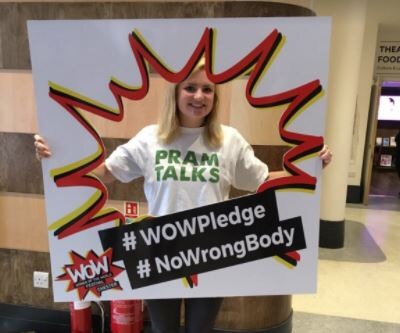 Meg and her fellow WOWsers devised a campaign to promote body positivity as part of the festival and their videos, photos and social media posts have been shared widely. We’re very proud of what Meg and the rest of the WOW Festival team have achieved. Now over to Meg for her thoughts on her time at the WOW Festival Chester. It’s a word that has slipped from many mouths over the past couple of weeks, as people have stepped over the threshold and wandered inside to explore Storyhouse. A red carpet, bright-light entrance into an elegantly retro lobby; shelves upon shelves of books that spread across the walls, encasing and entwining like ivy on a manor house; a vast open space, showing off high ceilings, multiple floors and a cinema lit up like a rainbow; the genuine buzz of anticipation, intrigue and of a city’s expectations being exceeded. Wow indeed! This weekend, the simple expression of amazement took on a whole new meaning. It was used not only as a reaction, but as action in itself. Chester welcomed the Women of the World festival, which is a movement that started in London’s Southbank Centre back in 2011. The WOW festival aims to draw everyone in – both male and female – to inclusively celebrate women and girls. Action is inspired and encouraged, as people from all walks of life gain easy access to join the conversation about gender equality, and explore together the joys, the trials and the meaning of being female in our world today. The festival’s great success has led to its growth; WOW now stretches up and down the UK and across the globe, with our little Chester being listed up there with New York and Beijing on the Southbank website! I was a WOWser. WOWsers are volunteers between the ages of 14 and 26, who join together to campaign as part of the wider festival. 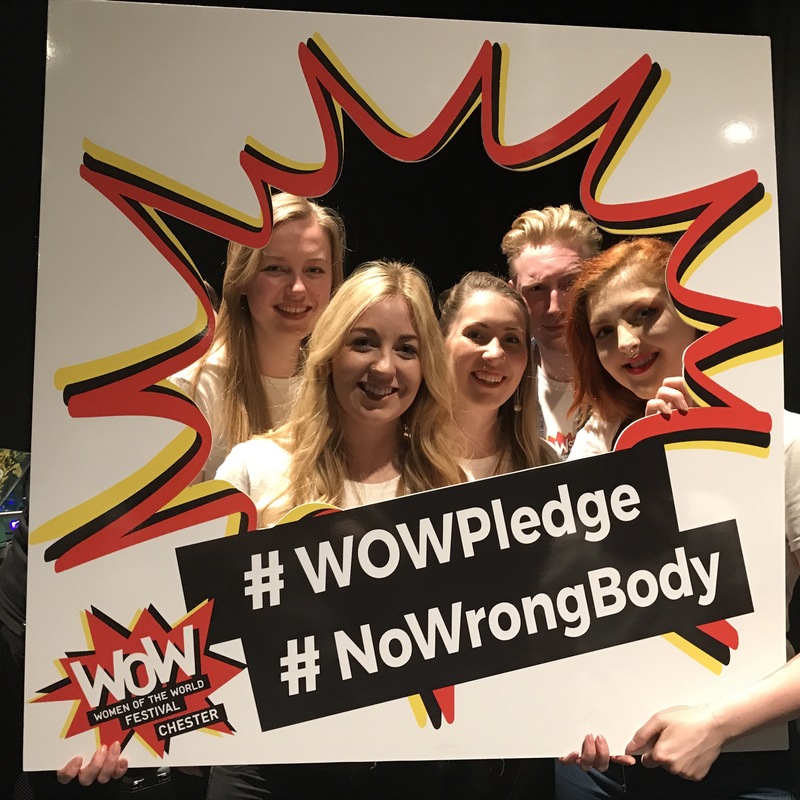 This year the Chester WOWsers decided to make a campaign about body positivity, using the slogan ‘no wrong way to have a body’. 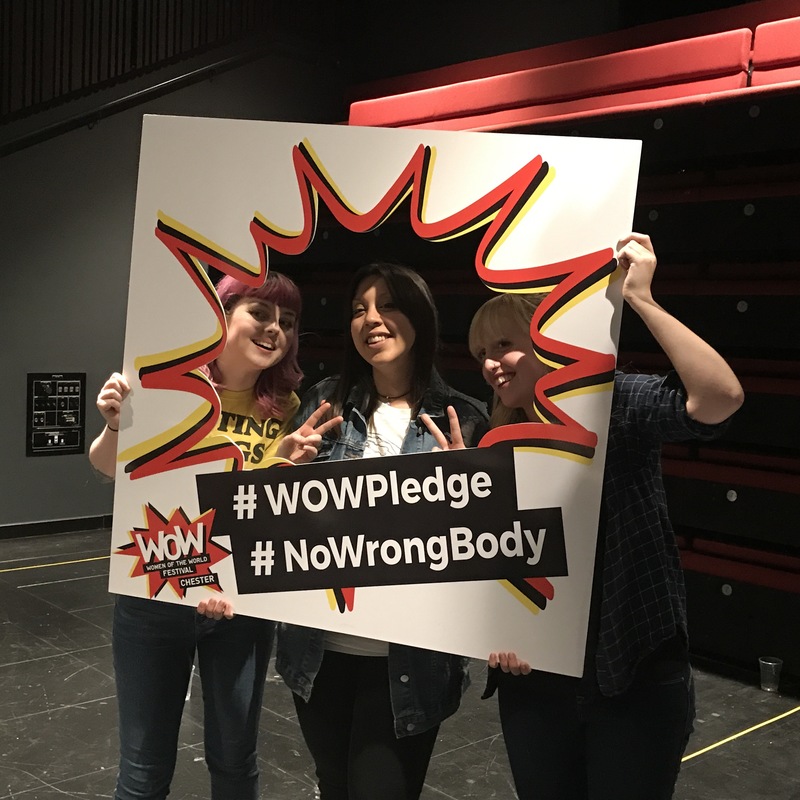 Check us out on Twitter @WowserChester #NoWrongBody #WOWPledge. The WOWsers pooled their skills (roping in the much appreciated skills of their boyfriends too!) to create and share a video to promote our message. 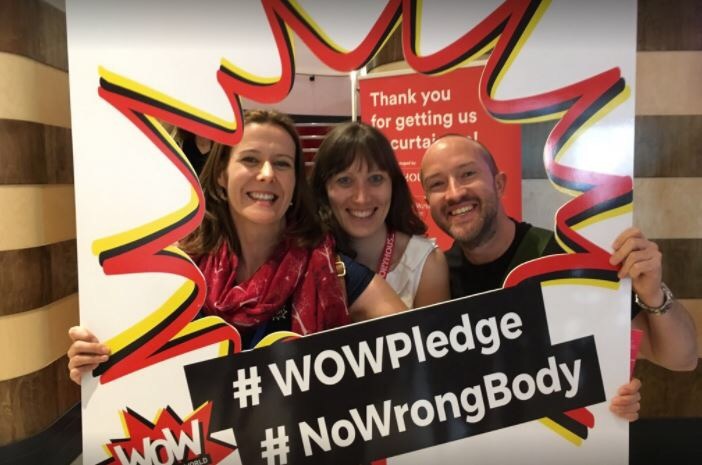 We tried to encourage everyone and anyone who would listen to write a pledge, and maybe even get a photo in our rather snazzy, bespoke WOWser frame! A little pledge from yourself, to yourself, saying that you will do something that will make you feel good… properly good. Ride your bike to work. Smile more. Speak about your feelings so you don’t suffer in silence. Eat more cake. Drink less wine. Lose a few pounds. Never diet again. Read more. Scroll less. Not believe yourself when you say that you’re ugly. Believe others when they tell you you’re not. What a pleasure it was to read through some of the pledges we collected. The people of Chester and beyond had the chance to reflect and decide to love themselves and their bodies more, in whatever big or little might work for them. It wasn’t just the WOWsers who started work on the festival long ago; for many it began with planning, preparing, programming and thinking big. A series of sessions were held to hoover up everyone’s ideas about what would make Chester’s WOW festival work wonders! It was at one of these think-in sessions that I first met We Are Chester editor, Angela. The hard work of Storyhouse staff and all who got involved made the whole thing possible, but not only possible – it made it powerful. In Sunday’s round-up event, when festival-goers, staff members and volunteers came together to share their highlights and feedback, I saw how people really had been deeply touched and affected by the weekend. Some were moved to tears, some had reconnected with friends, some finally felt belonging, whilst others were fired up and spurred on to go away and live their lives with more zeal and… well, more life! I could go on and on, as there’s much more to tell. I got to experience Pram Talks – an interactive audio experience which lets you listen in on the unhindered, brutally yet beautifully honest thoughts and feelings of parents, as they talk about the early stages of parenthood. The Liverpool-based project raises awareness of postnatal depression and reminds parents that they are not alone. Meanwhile, it reminds me (as a 19-year-old who doesn’t yet have children of my own) that raising children is no easy task, and that I owe my mum and dad a rather big thank you! I got to take part in Friday’s schools day and interview the wonderful Lucy Russell from Plan International, finding out about the charity’s brilliant work helping girls worldwide to change their stories. It was so exciting to see the links between the schoolchildren sat in front of me, and those thousands of miles away. I watched the Bishops’ High School’s drama company Assemble perform their specially made piece called Voices with such thoughtfulness and cohesion as a group of young actors. They showed the vulnerability and insecurity of speaking your mind about big world issues as children and young people. But through their drama and leading by example, Assemble spoke up and allowed their voices to be heard, thus encouraging their audiences to be brave and do the same. I got to hear from comedic poets and characters, musicians, and saw the nostalgic two-person play Over the Garden Fence. And that was just the tiny tip of the whole weekend – the weekend when Chester saw WOW become not only a reaction, but action in itself. Chester will be home to the Women of the World festival in the North West for the next two years, so be sure not to miss it when it comes around again. A great write up, Meg! So great to meet you, too.